Now that IO Interactive is independent again, it's making Hitman's prologue free to play for everyone. If you've always looked longingly at Hitman, but didn't want to shell out the cash without trying it out first, you're in luck. IO Interactive announced today that its first move since becoming an independent studio would be to make the prologue of Hitman free for everyone to play. The news came in a post to the game's official website, which says that the the ICA Facility will be available as a free download on PC, PS4, and Xbox One. The free portion will include everything that IO has released for that location. That means you'll get to play two story missions, two Escalation Contracts, over 40 challenges, 17 achievements and trophies, and "thousands of player-created missions in Contracts Mode." Any progress you make in the free portion of the game will carry over if you purchase the full game. IO also says that it's "lined up some discounts on the full game to make this a great time to buy. We're talking up to 60% off on some platforms!" Hakan Abrak, CEO of IO Interactive, said of the move, "I'm proud to announce that our first hello as an independent studio is to invite all gamers to play the beginning of Hitman for free. There is a lot of love out there for Hitman and with this offering we hope that many more will fall in love with the game. 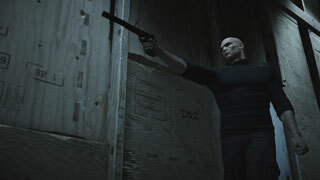 We believe that this is Hitman at its best. So jump in and give a try." A check of the Steam store doesn't show the free prologue available yet, but odds are we'll see it materialize later today.